I made this for SIL for her birthday early this year. 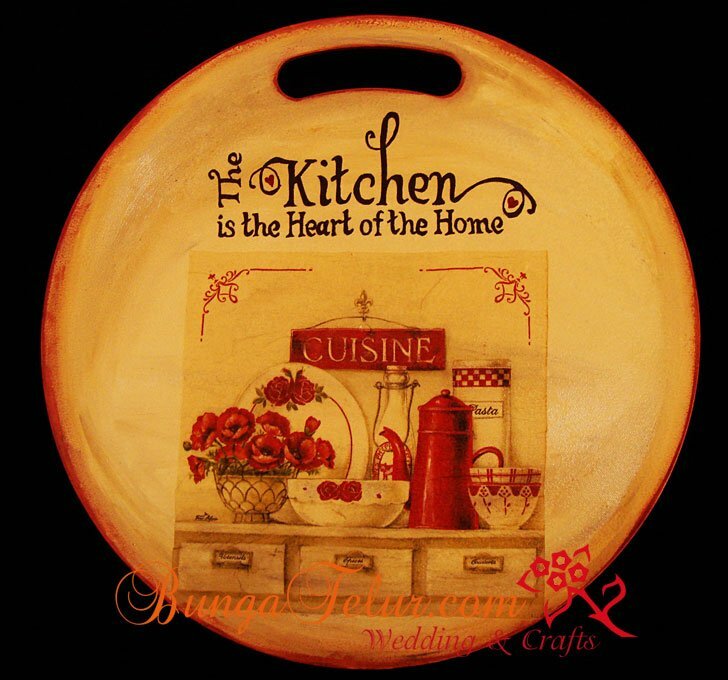 I have done decoupage on rectangle plastic chopping board so I thought I want to try doing it on a round one like this. SIL saw this red tissue that I uploaded on my Facebook and she loves it. I bought it from the seller and searched for a good quotes to fit the theme. Since my SIL loves cooking (and we love to eat the dishes she cooks) I thought this quotes fits her personality. If anyone is interested to learn the basic of decoupage, my next class will be held on 7th April, Sunday at 2pm. The fees are RM60 inclusive of all the materials needed in the class. Please contact [email protected] for more info. The client (who was also my ex student) ordered this bunga dip hand bouquet last year. She was also so kind to share her wedding picture holding the bouquet. It’s always nice to see how my creations were used in real event. 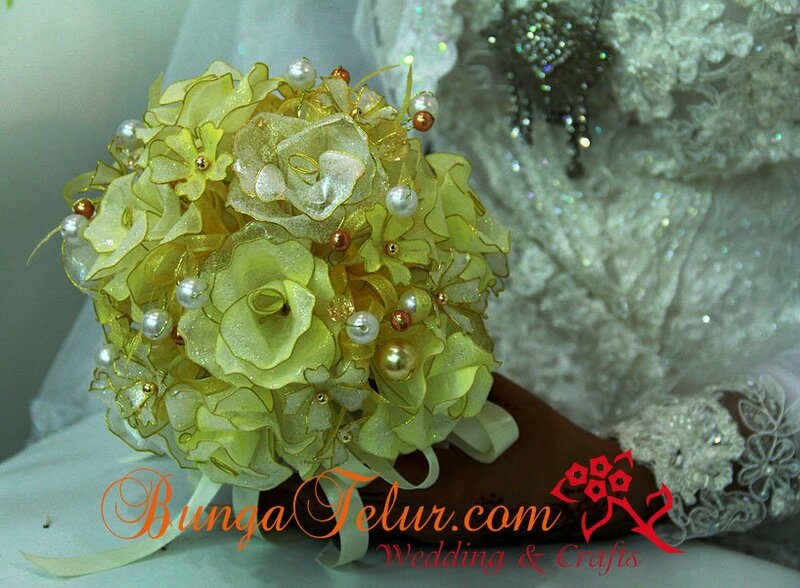 Having bridal hand bouquet for your wedding or engagement is a great and saving ideas. You can always rent it out afterwards to another bride. 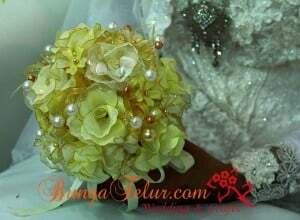 For those interested to order such hand bouquet, you can contact me to discuss further. Price starts from RM80 onwards depending on materials and size.